Thursday: After a few more wrinkles and surprises the installation team completed their work, trained the system operators (two of the three are women who cook for the orphans). Thursday evening our work was done and the first six bottles of water were sealed and we had a celebration with the kids and staff to dedicate the system. The impact of clean water will be felt immediately as the Shadow project has missionary teams that stay on site as we did. Eighteen weeks a year they have missionaries there. Following Agua Viva was a Medical team. Clean bottled water will be available to the visiting teams (we supplied them with 100 five gallon bottles). They will save on the expense and time of having to buy water from a vendor and trucking it in. Next they will begin to provide the children, kitchen, staff, nursery and health clinic with clean drinking water. Until now the children had been using stagnate clay filters that produced water we could not drink. The next thing that will happen is that the widows in the nearby town of Monjas will get clean water. A priority of Agua Viva is to help widows and orphans so that they have access. The water will provide employment for some of those girls and provide a revenue source for the orphanage so they can sustain the operation. The town folks will be able to buy it easier. Clean water is a luxury and the companies that sell it truck it in from distances. If you are struggling to feed your family you would like to have clean water, but food will win the budget every time. Water will now be more readily available. There will still be a cost to cover bottling and distribution but it will allow the poor to have access. Deposits for the bottles are needed so they don’t deplete their supply and can buy more. The impact of our work and the investment of donors should pay dividends for years to come. Remember Most? I will remember many things about the orphanage, but I will never forget bringing groceries to four families in town. The man with one hand and no shoes who stood tending the cook fire in the dark with his wife and two small kids inside their 10 x 10 lean-to structure. They explained that they were there legally because the owner let them stay to keep the property from being vandalized. I wish I had given him my shoes and that I had a 5 gallon bottle of water to leave for them (the system was not complete at the time), however we were able to leave them a bounty of food just has we did for three families earlier that evening. 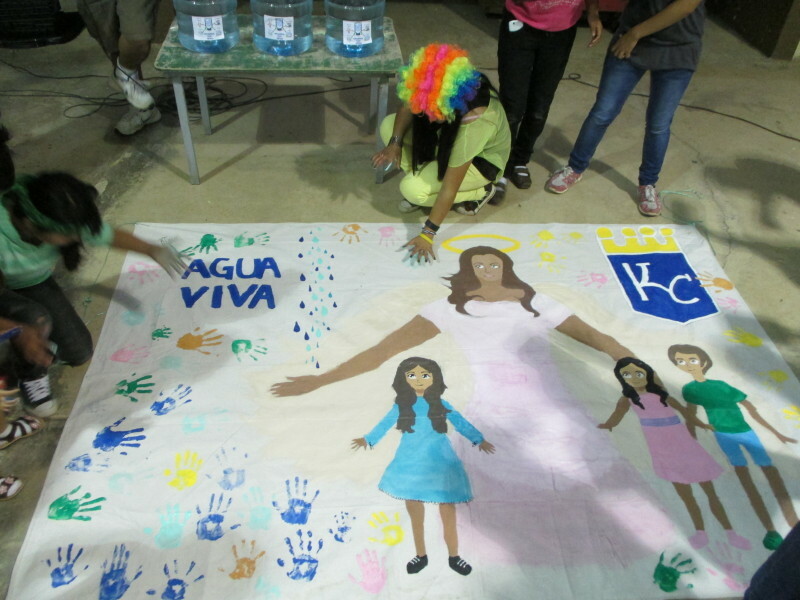 This is the sixth installation in Guatemala by Agua Viva International, an organization that is run totally by volunteers. It was a good use of my vacation and God blessed our work.